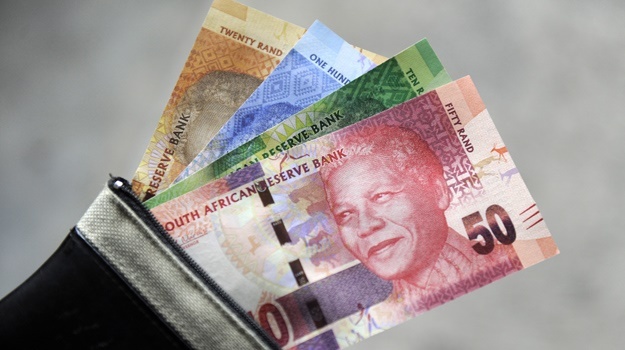 Cape Town - The rand continued to fall on Friday, trading at R14.38 to the dollar in the early afternoon, on rumours that President Jacob Zuma would announce state funding for free tertiary education. The local currency has lost just under 1% of its value to the greenback since markets opened on Friday morning at R14.24. TreasuryOne dealer Wichard Cilliers told Fin24 the rand was under pressure on rumours that the government would announce funding for free tertiary education. According to an article in the Mail & Guardian newspaper on Friday morning, the government is considering “drastic budget cuts to fund free higher education, including cutting social grants, freezing the roll-out of RDP houses and increasing taxes”. The SA Institute of Race Relations has estimated that free tertiary education would cost National Treasury in the region of R71bn per year. The Mail & Guardian article said that a document submitted to the presidential fiscal committee put "free higher education for poor and working-class students" at R30bn per year. Fin24 could not independently verify these figures. Wichard said traders were also wary of the outcome of a rumoured ANC National Executive Committee meeting that will discuss the ANC elective conference in December. “Coupled with that, ratings agencies are in SA at the moment, and we have seen comments by the World Bank about how to turn SA around," he said. "US yields continue to pick up, on the back of the tax reform plans. All this is just negative for the rand”. Economist Gerrit van Rooyen from NKC African Economics said the rand was hurt by "growing speculation that Moody's and S&P will downgrade South Africa's local currency credit rating to junk status". "An uptick in US Treasury bond yields also caused general weakness in emerging market currencies," he said.